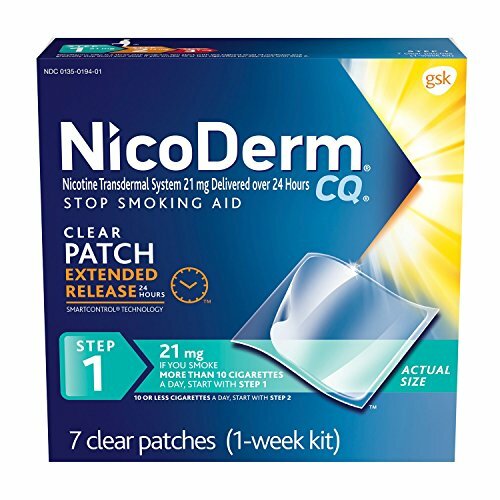 NicoDerm CQ is a once-daily nicotine patch with Extended Release SmartControl Technology that helps prevent the urge to smoke all day long. It starts to deliver nicotine immediately, and continues steadily throughout the day. NicoDerm CQ patches are thin and clear, so it’s easy to apply and wear discreetly. Start with NicoDerm CQ Step 1 if you smoke more than 10 cigarettes per day or NicoDerm CQ Step 2 if you smoke less than 10 cigarettes per day. Follow up with Step 3 after completing Step 2. If you have any questions about this product by NicoDerm CQ, contact us by completing and submitting the form below. If you are looking for a specif part number, please include it with your message.